So, during your event or wedding planning you’ve collected a few names of photographers that you plan to meet with. 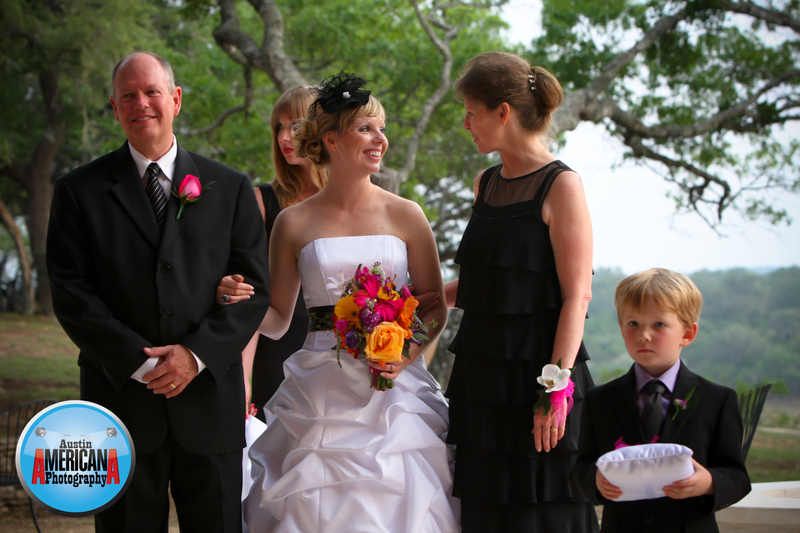 Perhaps you talked with friends or performed a Google search to find the Austin photographer that will ultimately be responsible for photographing your big event. It’s time to set up the meeting and you want to be prepared to make the most out of your appointment. How do you prepare? The primary purpose of meeting, from the viewpoint of the client (you), is to determine if the photographer that you meet with is the right one for your upcoming event. Are they qualified? Are they experienced? Do you like their work? Do they fit into your photography budget? All of these and more are reasonable questions to ask, even if not worded so directly. 20 Questions to Ask a Photographer. As a professional photographer here in Austin, Texas, I’ve met with dozens of brides and heard just about every possible question that a new client might ask. From that experience, I’ve created a Q&A from the viewpoint of a new bride, i.e., what questions a bride asks a wedding photojournalist (link above). Although the questions are geared more towards weddings, many of the questions are universal for any event and can be applied to screening different kinds of events and professionals. The questions were developed by speaking with brides and doing research into what clients are looking for in a photographer. I’ve formulated the answers based on how I would answer the questions myself. I wouldn’t necessarily recommend asking a vendor every question that I’ve presented; instead, I recommend that clients look at the list of questions and see which ones seem relevant and important to their event. And those will be the questions that you will want to focus on during your photographer meeting. – have a general idea of what they want. But brides are frequently so overwhelmed by wedding planning stress that they may be a little unclear about what questions to ask and the details. -a copy of our contract. And all of which are discussed in our 15-20 meeting. One thing I don’t like is pressuring people, so my object when meeting with a bride/client is to ask them what they need, present them with some basic information about what Austin Americana Photography does and let them decide. And this kind of transparency in business has been (and I predict will remain) a successful strategy. 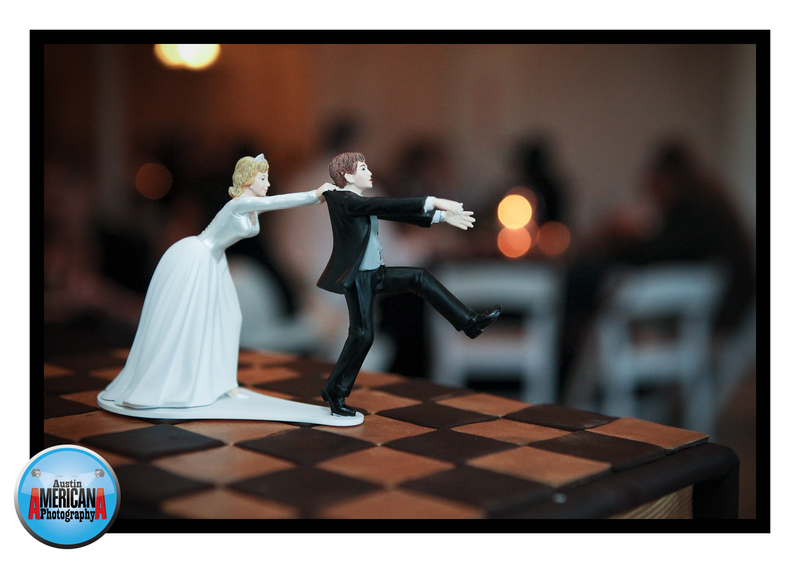 Martin Whitton is a wedding photojournalist in Austin, Texas. He blogs on the subject of weddings, photographs Austin events and provides business consulting services to small business owners in the greater Austin area, where he resides with his family. Last week I posted a “teaser” blog about the compost bin that I had built, so this week I’m posting photos of the composter, along with some directions how to build it and the supplies you may need. I should say that I just researched the topic a little and simply modified some other composter designs, and I’m no expert. I advise you to find a design out there that meets your needs and go with that one. My design is not necessarily the best for every situation. I was able to achieve most of these goals, although the compost bin is not entirely built of recycled materials. But it’s sturdy, we can control the moisture and odor in our compost bin and it is conveniently located near our home with an easy access, hinged lid on top. 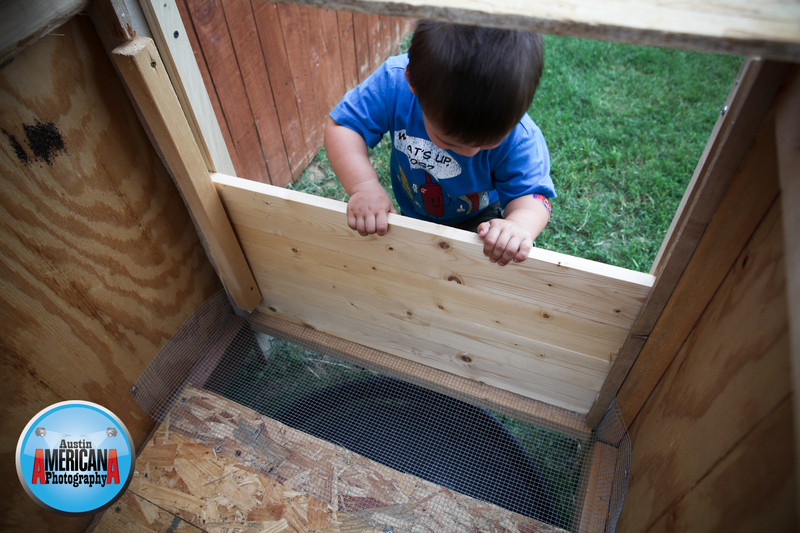 The dimensions of the composter are approximately 4′ wide X 2.5′ deep X 3′ tall. I don’t think the dimensions are all that important, and you can build it any size. 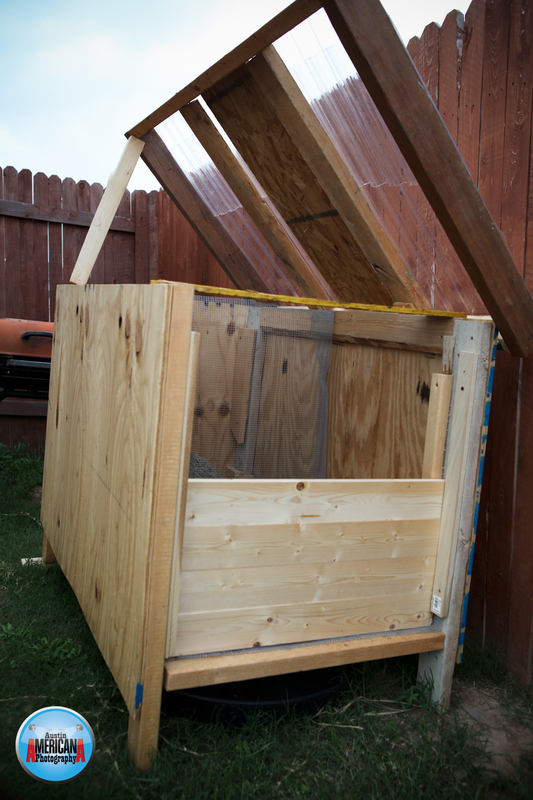 I used mostly 2X4 planks, along with plywood for the sides and bottom. I created a side panel that contains removable 1X4 planks. I used mesh wire to divide the entire composter into 2 separate compartments, since you’ll probably have multiple piles of composting material becoming ready to use at varying times. I made the lid with 2X4 inch planks and corrugated clear plastic sheets. I added hinges onto the lid so that it would open and close easily. 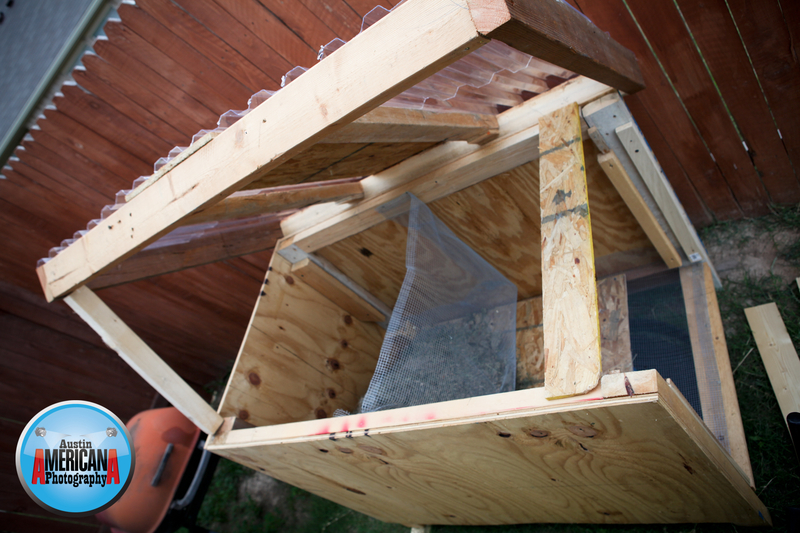 And if you build the lid to fit tightly on the composter, you theoretically won’t have any problems with rodents. One other feature that I’ve added that may or may not get used: I put a small strip of mesh wire on one end of the composter that would allow compost tea to drip out of the composter into a drip pan (for use on the garden). Not sure if this will actually be useful or not, since this entire undertaking is somewhat experimental. 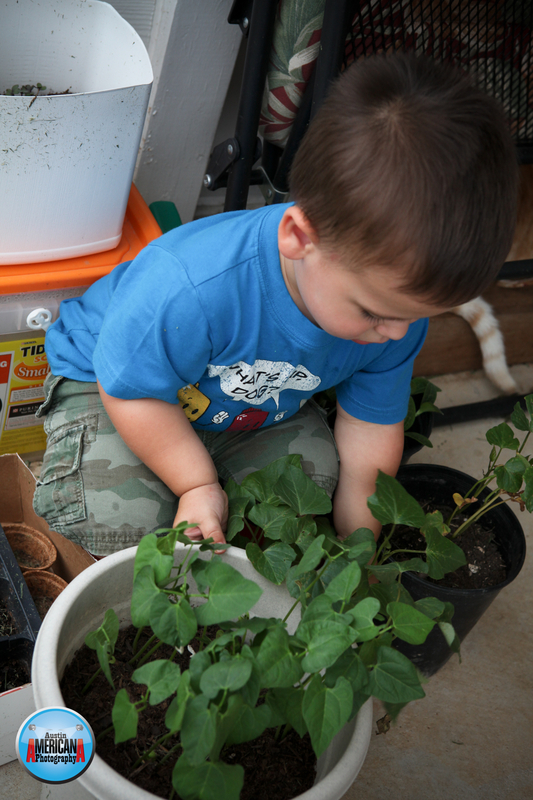 Gardening, Tomatoes and More (Fun Friday Fotos)! 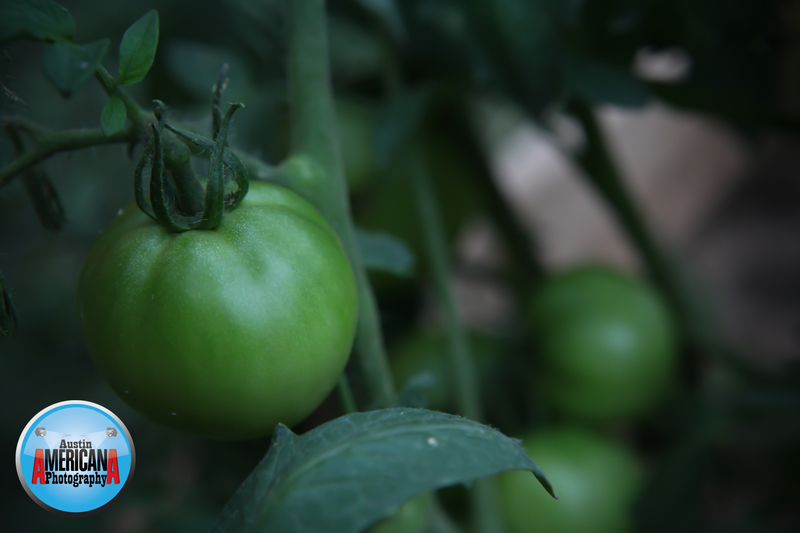 We’re still doing our best to make plants grow in our backyard, and at least the tomato plants have been a success, so far. 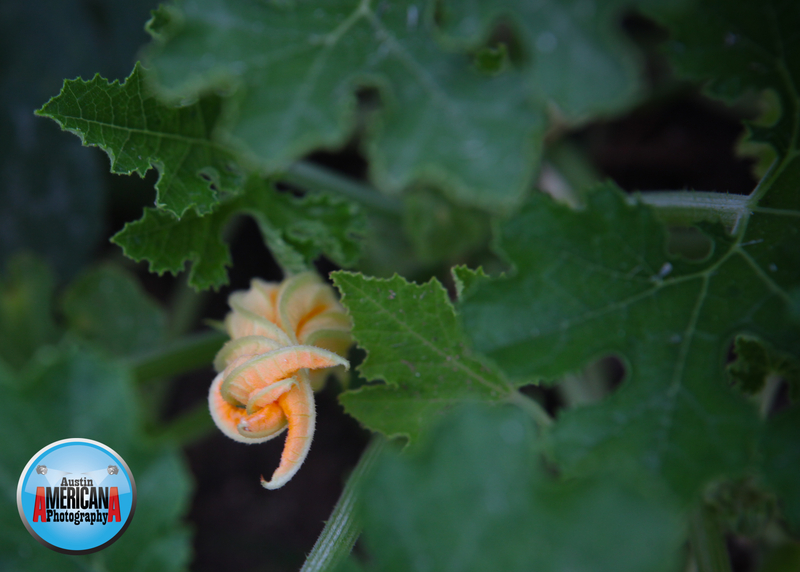 We’re also hoping to have some squash, peppers and some peaches in the near future. There’s nothing like home grown vegetables! 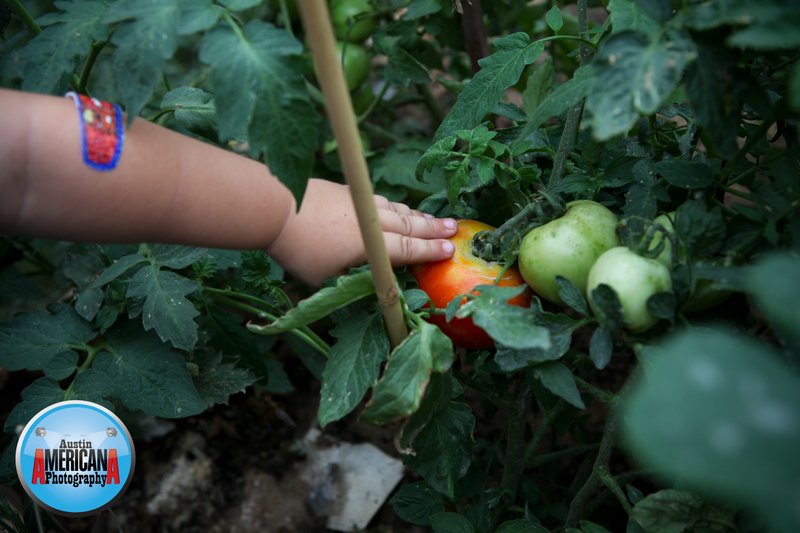 My son Roman just love to touch and grab things, and the tomatoes are not safe from his little fingers, even while being photographed. The Bridal Session: It’s all about the Bride! 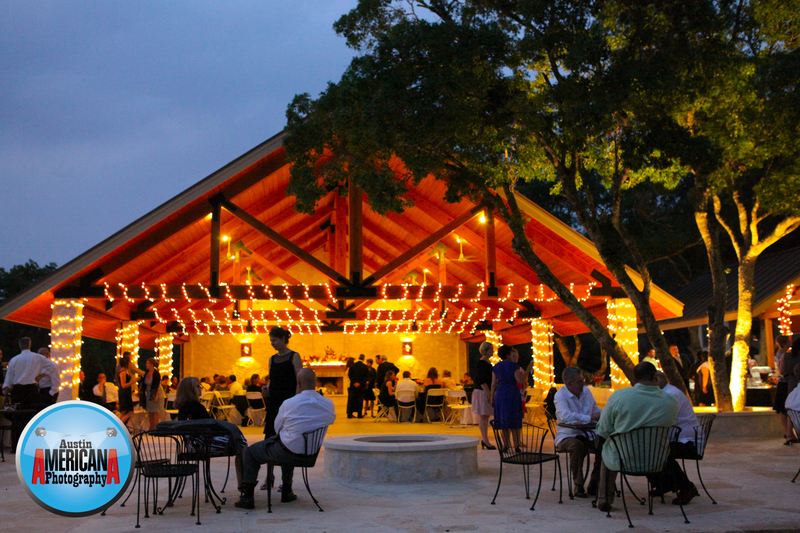 In June I’m going to post a beautiful series of bridal photos that Austin Americana captured this weekend while on location at one of Austin’s most beautiful wedding venues: Laguna Gloria. And each time that I photograph a bride for her special bridal session I remember how important it is to remind her that the bridal photo is all about her! It’s not only the bride’s big day to shine in her new wedding gown, but the attitude that she has will inevitably show up in the photos that the wedding photographer captures. When she feels confident and happy, her photos show it – which makes my job much easier and enjoyable. Every now and then I tinker around with capturing a sunset photo. The thing about the elusive sunset is that it happens quickly and is gone before you know it. Each one is different and you never know if it will be a good one or not; all you really can do is sit and wait, which requires a lot of time – which for me has been in short supply lately. I took this shot a few weeks ago here in Pflugerville near my home. There was a storm moving into town at the time, so I just grabbed a camera and rushed out the door with my son to see what we could capture. Enjoy! Getting The Shot and Still Making Time for the Family (and other stuff). I recently attended a training class about managing time and priorities. Essentially it was an organizational class teaching students how to be more efficient by eliminating or speeding up the normal tasks we perform every day. It was a helpful class and I’d recommend it to anyone who needs that kind of training. The reason it comes to mind is that sitting here at 9pm on a Sunday night I’m feeling exhausted and wondering how (or why) I decided to fit so many things into my calendar this weekend. In my time management class the instructor told us that we should have no more than three (3) major events or projects going on at one time, either professional or social (combined). For example a person might be juggling their career, their family and be a member of a soccer league. Those three things, according to our instructor, make up a complete schedule of things to do or for which to be responsible. Anything more would mean that your life balance might break down and essentially something would get “short-changed”. This weekend felt like I exceeded my threshold for things to do, between family time, personal commitments and shooting a wedding and a bridal photography session. Just being on the road caused enough challenges. On Saturday alone, I bounced from Austin to Pflugerville, to Lockhart and Dripping Springs, sometimes in different cars and including wardrobe changes. But I have to say, other than the weather being hot and humid, I still feel blessed to have the opportunity to participate and be a part of so many people’s lives in so many facets.